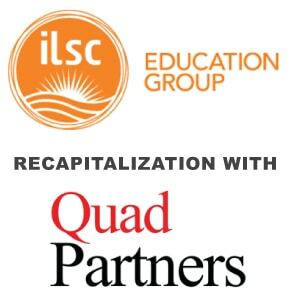 Berkery Noyes Represents ILSC Education Group in its Recapitalization with Quad Partners - Berkery, Noyes & Co., LLC. 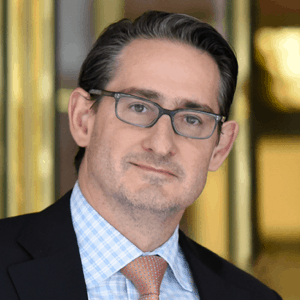 New York, October 21, 2014 – Berkery Noyes, a leading independent investment bank providing mergers & acquisitions and capital raising advisory services to the education market, announced today that it represented ILSC Education Group in its recapitalization with Quad Partners. Terms of the transaction were not disclosed. ILSC is a leading provider of location-based English Language Training (ELT) for international students looking to learn English for use in professional and academic settings. Through the Company’s language schools, colleges, teacher training, corporate training and continuing education divisions, it offers internationally relevant language and career skills training and certification programs to over 12,000 students annually. The Company’s schools are located in eight cities spread across four countries and three continents. Given the Company’s global presence, students have the ability to choose a country and city of study, depending on their individualized learning goals and the culture in which they wish to immerse themselves, and create transformative learning experiences. In addition, ILSC has developed a global and personalized learning experience with over 165 courses and programs available at its global campuses, where students can develop their language skills. Students of the Company’s language schools have access to test prep, certificate programs, University preparation, and internship programs, among others. ILSC’s programs are an industry standard for students looking to study English. The Company is consistently lauded as a top English language provider, demonstrated by its recent win of the Star Chain School Award, presented by Study Travel Magazine. English continues to be the dominant language of business and commerce, and is seen as a critical tool for succeeding in today’s economy. For non-native speakers, the advantages of commanding English are important and tangible, placing English language skills in high-demand to billions of people across the globe. Immersive ELT programs such as those offered by ILSC are the single most effective form of learning English. As a result, these programs are in high-demand; in 2013 alone, more than 1.5 million students travelled internationally to study English. Berkery Noyes initiated the transaction on behalf of ILSC, acted as its exclusive financial advisor, and represented the Company in its negotiations with Quad Partners. ILSC was founded in 1991 in Vancouver. It has since grown to become one of the leading English Language Training providers globally, with 13 campuses in eight locations, including Vancouver, Toronto, Montreal, New York, San Francisco, New Delhi, Brisbane, and Sydney. For more information, visit: http://www.ilsc.com/. Berkery Noyes provides strategic mergers and acquisitions advisory services to middle-market companies in the United States and internationally. The firm has been involved in many notable transactions in the information and education sectors, including Rocket Group’s acquisition of The Mandell School; Forbes Media’s alliance with Bridgepoint Education; Weld North’s acquisition of JBHM Education Group; Cambium Learning Group’s acquisition of Class.com; McGraw-Hill Education’s acquisition of Bookette Software; and Rockbridge Growth Equity’s acquisition of NorthCentral University. Debt and equity financing is offered through Berkery Noyes Securities, LLC. For more information, visit: www.berkerynoyes.com.